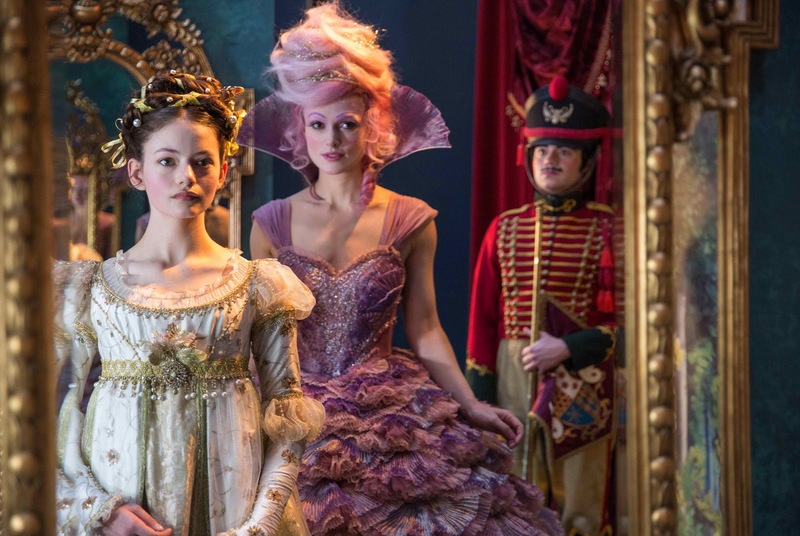 Home / MOVIE TRAILERS AND INFO / New Trailer Reveals Disney's Magical Film "The Nutcracker and the Four Realms"
All Clara (Mackenzie Foy) wants is a key - a one-of-a-kind key that will unlock a box that holds a priceless gift. A golden thread, presented to her at godfather Drosselmeyer's (Morgan Freeman) annual holiday party, leads her to the coveted key-which promptly disappears into a strange and mysterious parallel world. It's there that Clara encounters a soldier named Phillip (Jayden Fowora-Knight), a gang of mice and the regents who preside over three Realms: Land of Snowflakes, Land of Flowers and Land of Sweets. Clara and Phillip must brave the ominous Fourth Realm, home to the tyrant Mother Ginger (Helen Mirren), to retrieve Clara's key and hopefully return harmony to the unstable world. 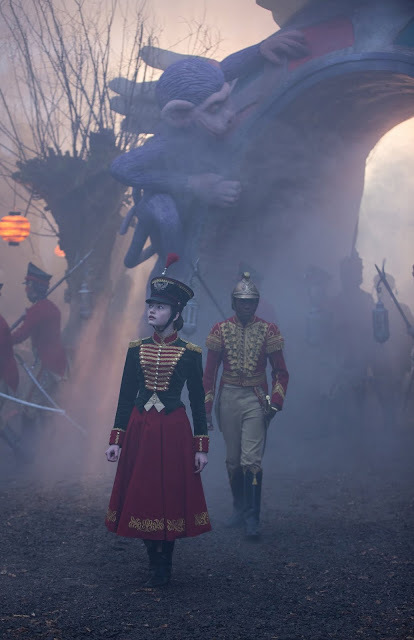 Starring Keira Knightley as the Sugar Plum Fairy, Disney's new holiday feature film "The Nutcracker and the Four Realms" is directed by Lasse Hallström and inspired by E.T.A. Hoffmann's classic tale.